sending this Pirate's Baseball Card for the boy! 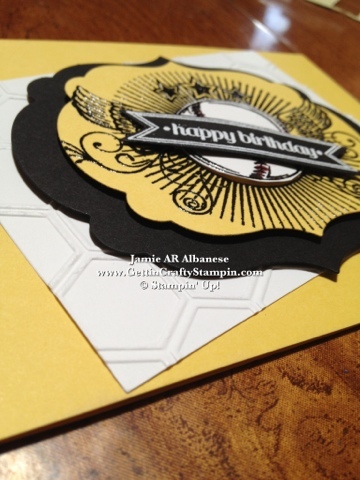 Whisper White as an accent color this card comes to life! it jumps out at you! With the White Card stock embossed with the Honey Comb Embossing folder & Big Shot (Spring Mini) it reminds me of the chain link fences at the games. prevents this from being girly! 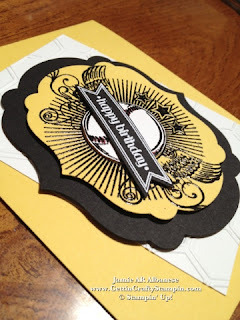 Highlighting the Stitches on the baseball with a red was easy... the Color Coach (Idea Book & Catalog) pairs the Daffodil Delight with the Cherry Cobbler. It is subtle but perfect as a highlight... 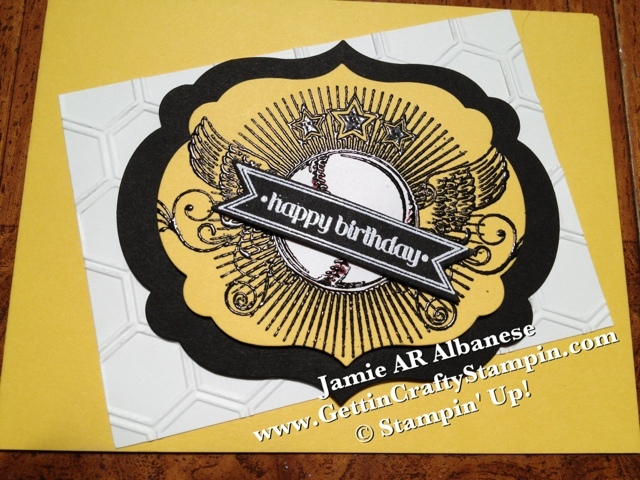 I LOVE our Stampin' Write Markers! 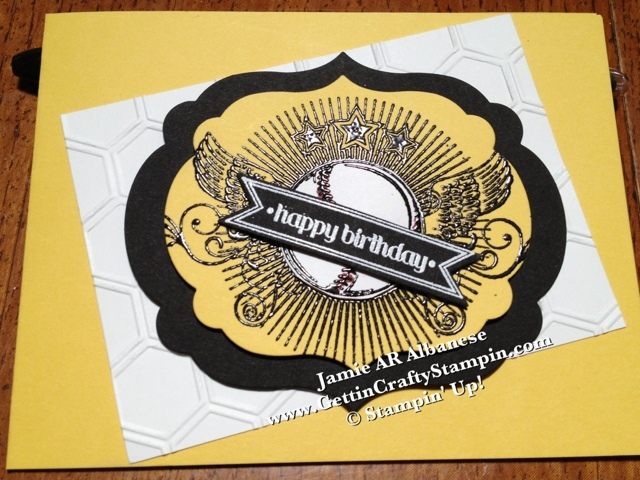 James celebrates his 11th Birthday in Texas while we send our LOVE from California! What Teams do YOU Cheer On?!?! I may create a card in your team's colors! It is sure to be your best friend in crafting, if you do! 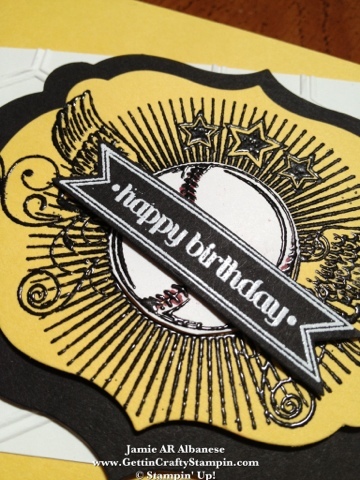 I love the effect of the embossing on this card, I may have to CASE it and change some colors :) Great card.